I love how you can use the edge dies from Die-Versions just about anywhere on your card. The way I adhered this card together actually leaves an open area on the card front. 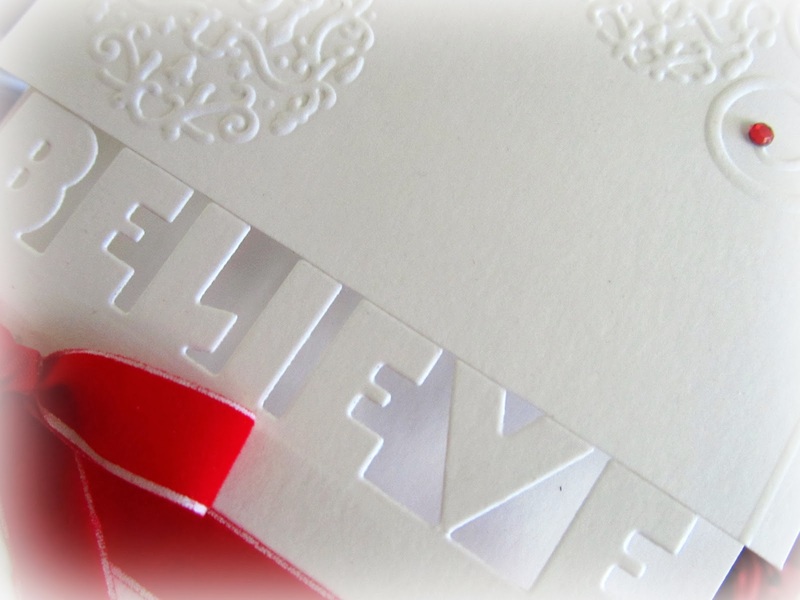 I made this card with my sister in mind...she has the word Believe everywhere in her house. I LOVE this card! Very simple but Pretty! 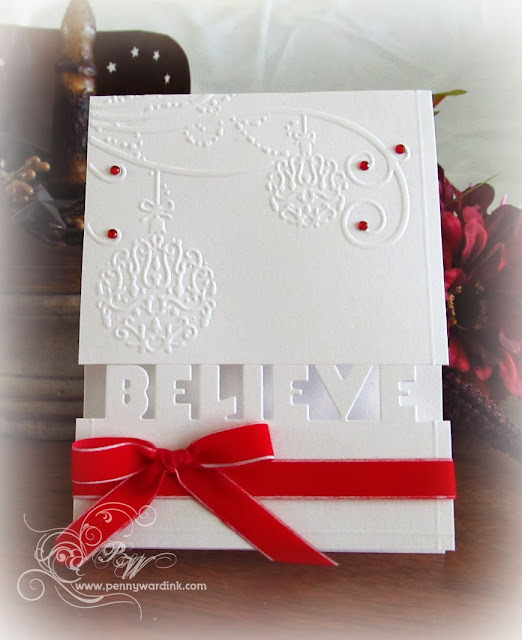 LOVE these big block letters, Penny, especially mixed with the soft snowflake embossing! Beautiful design! WOW, gorgeous! Love the little pops of red and the beautiful bow. Fabulous design too. Wowzer! What a stunning card! Gonna have to invest in some of those dies!